Don’t froget, no matter which ticket you choose, we can save you some green with our discount Disney tickets. When it comes to purchasing Walt Disney World tickets, it seems as if there are endless options. Should you stick to one park per day or get hoppers? Do you want to add on water parks? When we planned our first visit to the parks, we weren't sure which ones to choose. Now we do, and we're hoppy to help you! 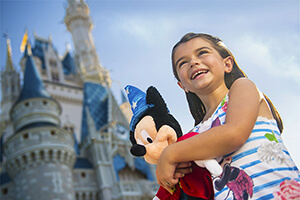 We explain the details of the Disney Theme Park Base Ticket (formerly known as Magic Your Way) and the Disney Theme Park Ticket with Park Hopper Plus Option. 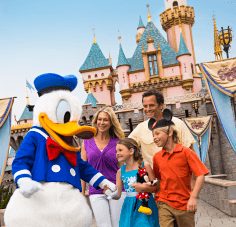 This post is looking at what the Disney Theme Park Ticket with Park Hopper Option includes, and we can help you decide whether it's right for you. Let's hop to it! What Is the Disney Theme Park Ticket with Park Hopper Option and What Does It Include? With the Disney Theme Park Ticket with Park Hopper Option, you could visit all four parks in one day if you wanted. (Heck, you could visit all four parks every day of your trip with it, but your frog legs would probably be pretty tired!) Visiting two parks in one day is the more popular option. We'll hop into the reasons when we recommend the Disney Theme Park Ticket with Park Hopper Option in a minute, but first we want to talk more about the ticket specifics. How Many Days Do You Get with Disney Theme Park Ticket with Park Hopper Option? As of Oct. 16, 2018, Disney moved to date-based ticket pricing, which means you need to know when you'll be visiting before you buy tickets. (You do have the option to purchase a Flexible-Date Ticket for an additional charge.) The date-based pricing applies to all ticket types, including the base ticket, the Park Hopper Option and the Park Hopper Plus Option. Just like with the Disney Theme Park Base Ticket, the Park Hopper Option is available from one to 10 days. You do not have to use the tickets on consecutive days, but you do have to use them within a certain number of days after your start date. With the Flexible-Date Ticket, you have 14 days from first use, no matter how the number of ticket days. 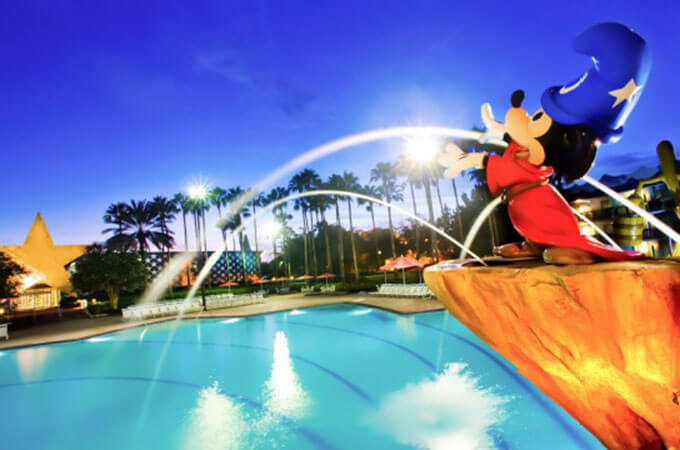 As an example, if you're planning a weeklong vacation to Disney World, you might decide to buy our 6-Day Disney Theme Park Ticket with Park Hopper Option. (By the way, this is one of our top-selling Park Hopper tickets!) This gives you and your tadpoles a few days away from the parks — maybe for a little rest and relaxation by the the pool or shopping at Disney Springs. Keep in mind, that you save more per day the more days you play. For example, if you purchase the 6-Day Disney Theme Park Ticket with Park Hopper Option, it works out to a little more than $76 a day*. The 1-Day Disney Theme Park Ticket with Park Hopper Option, by comparison, is $178*. *Prices as of October 2018; subject to change. Is the Disney Theme Park Ticket with Park Hopper Option Right for Me? The Disney Theme Park Ticket with Park Hopper Option offers more flexibility than the base ticket. You're not locked in to any one park per day, so it allows for more spontaneity. It’s an adult-only trip or you’re traveling with teenagers: Grownups and teens can move through the parks much faster than families with tadpoles. Plus we all know teenagers can change their minds on a dime. You have visited Disney before: If you’re a Disney regular, you're more likely to pick and choose which rides and shows you want to see in each park vs. doing it all, so you'll be ready to move onto the next park more quickly. You want to see a different nighttime entertainment or fireworks show every night: If you have the Disney Theme Park Ticket with Park Hopper Option, you can plan to end your evening watching whichever show you want, regardless of whatever park you visited during the day. For instance, you could spend your day at Disney’s Animal Kingdom, then hop over to Epcot and see IllumiNations: Reflections of Earth that night. You are visiting during a less busy time of year: When the crowds are low, you can move through the parks much faster, so park hopping makes more sense. You want maximum flexibility for ADRs and FastPass+ reservations: The most popular restaurants and attractions need to be booked as early as possible (up to 180+ for Advance Dining Reservations and up to 60 days for FastPass+ reservations), which means you are often committing to visiting a specific park on a specific day months in advance of your trip. Park Hoppers give you the flexibility to keep existing reservations, even if you decide to spend most of your day somewhere else. We hope this overview of the Disney Theme Park Ticket with Park Hopper Option has been hopful as you plan your trip. We frogs always hop through the parks, but we know that doesn't make sense for all families (especially those who aren't frogs). No matter which you choose, we've got a discount Disney ticket that's right for you! We've also got a ton of other resources in our Orlando planning guide. Short on time? 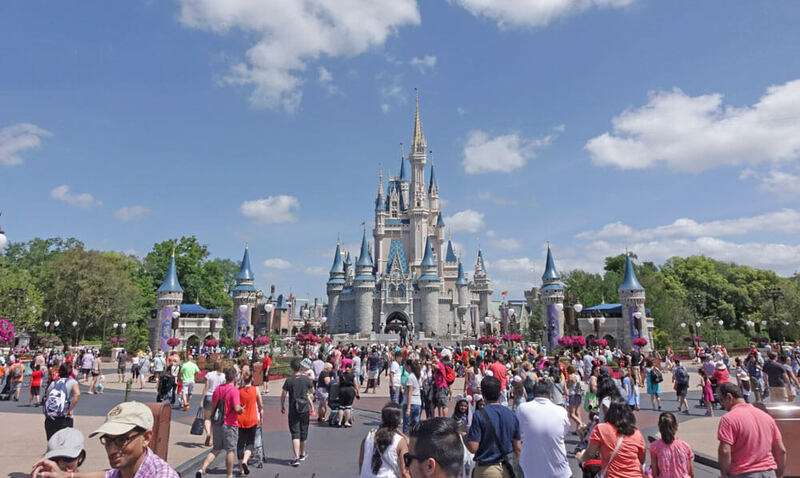 Download our Disney World Quick-Start Guide. If I bought a hopper pass in 2000 and did not use all the days on it can I still use the day I have left? This will depend on the type of ticket and whether or not any days were used on it. Check on the back of your ticket to find the expiration date, and any fine print about use date (as many have a 14-days from time of use expiration). You can verify the amount of days available on your ticket (and its validity) by calling (407) 939-1289 or visiting Guest Relations. If I get a 3 day park hopper plus, can I go to Magic Kingdom fireworks all 3 days? If I have purchased a 5-day PH+ and plan to stay 7 days; I have enough ticket days to get into the 4 major parks for 5 days and use the other 2 days for water parks , correct? That's correct! With the 5 day park hopper plus, you get 5 park hopper days, plus 5 "plus" visits to any of the "plus" activities (including the water parks). Enjoy! can you buy a DW base 1 day ticket and add 1 day hopper to it? You sure can - you can either purchase a 1 day Park Hopper ahead of time, or you can purchase a Base ticket and visit a Guest Services representative to upgrade during your visit. Question, if you go for a 4 day disney world trip for two and you want the park hopper,does the park hopper also include universal studios? I've read so many things that contradict the other. The Park Hopper at Disney World only includes Disney Parks (Epcot, Hollywood Studios, Magic Kingdom and Animal Kingdom). Tickets to Universal Studios would need to be purchased separately. Im coming for 7 days. Not going to hop day 1. Is it worth waiting & buying hoppers after arrival for day 2 on? Is there a penalty for not buying the hopper in advance? This largely depends on who you are purchasing your tickets through; sometimes, when purchasing in advance, you can catch a great deal and it makes sense to take advantage now vs. upon arrival. But on the whole, there's no penalty for not buying the park hopper in advance :) They'll be able to upgrade you at Guest Services. If I decide against the park hopper now and buy tickets from a discounted dealer, can I still upgrade later? Yes, you can. You will find all of our discount Disney tickets here. My plan is going 2 days, it's only the wife, my 5yo and the baby, so I'm inclining more on the base tickets rather than the hopper option. Question, should I buy independent 1-day tickets if I want to visit a different park each day? or would the 2-day option tickets do? The 2-day ticket option is just fine for this instance. You can visit any park you'd like with the base tickets, you're just limited to one park per day. My husband, our two kids (girl age 9, boy age 7), and I are going to WDW for the week of Thanksgiving. We have 5 day park hopper tix, and are planning to visit the parks Nov. 19-23. I found all of your 1 + day park plans. Thank you!!! Do you have any plans for using 5 day park hopper tickets for this week? Or would you build me one? Please? We plan on Park Hopping Animal Kingdom one morning, and Hollywood Studios that afternoon/evening. This particular visit though, we are not staying on Disney property, so we will no be bussing from a resort to park. What do you recommend for getting around that day. Should we drive from park to park (7 in our party, Chevy Traverse), or take the terminal? We want to get to AK as early as possibly since fast passing the "Flight of Passage" is not an option this time. We will be there the last week of September, wait times will be down. We recommend driving your own vehicle from park to park. Be sure to keep your parking receipt from Animal Kingdom to park at Hollywood Studios as well! We are headed to WDW for a 6 day trip. Rather than buy a park hopper ticket, we are thinking of buying a 10-day base ticket and using the 4 tickets to visit an additional park on some days. If we should do this, would it be possible to re-enter the first park we started the day with, after using the additional ticket to enter a second park? Also, are tickets required to enter a park for a dining reservation? Thanks! From our understanding, as soon as you activate your second ticket for the day, your first ticket is voided. Therefore, we don't think you would be able to re-visit your first park of the day after visiting your second park. Yes, tickets are required to enter a park for a dining reservation. We purchased 6 day base tickets and now are only going to visit Disney Parks 5 days, Can we use the extra one to Park Hop? So basically using 2 base tickets to visit 2 parks in one day without the hopper ticket. Yes, you can do that! Just make sure to communicate that with the ticket attendant. Can you buy a base ticket for one day and then park hop for the remaining days of travel. We are going for 5 days but get there late on the first day so I know we won't hop that day. Is it an all or nothing kind of thing? You can buy a one day base ticket and then a Park Hopper for the remaining days. You might check to see, though, if it's more cost effective to just purchase Park Hoppers for all of the days versus a base ticket and Park Hopper! Do you need a park hopper to leave a theme park to go back to your on-site room for mid day naps for kids and then return to the same park the same day? Nope - as long as you are leaving and returning to the same park, you are toadally good to do so with a base ticket. No need for a park hopper! if i purchase a one day hopper can i use it twice, meaning can I go to mk and epcot today and disney studios and ak tomorrow? or do I need to purchase a two day hopper??? If you plan on park-hopping for two days (even if you only visit two parks per day) you will need a 2-day park hopper ticket. We are planning on purchasing a 6 day base ticket through you guys, if once we get to the parks and want to park hop how does that work? Will we be able to upgrade at the parks and if so does it go off of our discounted price or off of the listed price at the gate? Yes, you may upgrade your ticket at any ticket window once it has been activated by going through the gates. You will be credited the full GATE price for the ticket in your possession (not the price paid to Undercover Tourist) and then charged the difference between that and whichever ticket you upgrade to. This is great to know ... What happens if you purchase your 4 day + 2 day free ticket - are you credited the gate price for the 4 day rate, or the 6 day rate ? You will be credited for the 6-day ticket, no worries! Hey if we get park hopper tickets for 2 days can we go to all 4 parks in one day and then do the parks againt the next day or do we have to split it up ?? With the park hopper ticket, you can go back and forth from as many parks as you want each day ... and the next day too! No worries. Yes, you'll be able to leave and return to the same park in the evening! I bought the park hopper 3 day this year in January and didn’t get to use the third one. Is it expired now? I read somewhere that we had until June 29th but it seems as though that could have changed since last I reviewed in May. Please contact our customer service at 1 (800) 846-1302 (USA) or 1 (386) 239-8624 (Worldwide)! Disney will provide you with new ticket cards for this trip, including your park hopper tickets. We want to buy a one day hopper can we do all 4 parks if we choose. Is it a regular hopper we need to buy. Yes, a regular park hopper allows you to "hop" between all four parks as many times as you'd like. I'm planning on buying 2-day Park Hoppers for Disneyland for a quick weekend trip to LA later this summer, hopefully settled into our hotel by 7pm. If we go into the parks that first night, do those 3-4 hours count as a full day - should we just do Downtown Disney and start the tickets early the next day so we get 2 full days usage? Yes, it will count as a visit! If you want to get your two full days worth, then we recommend waiting and hopping to the parks early the next day. My husband and I are taking our 8yr old son to Disney for the first time, our resort has offered us a 3day Hooper pass for $720, since I’ve never been either I was wondering if that was a good price? Also how much does it cost to get into Universal Studios? Thank you! Is $720 for one of you, or all three? We recommend checking out our discounted tickets for both Disney World and Universal Orlando. My husband and I are planning to visit May 20-26. 7 day ticket. I noticed it list peak time May 20, 25, 26,and 27. How do we get tickets for peak & non peak? Peak ticket pricing only applies to 1-Day tickets. The 7-day ticket will work for you! Hi! I just have a question about the tickets. What is the limit of days for a multi day park hopper ticket? Thankyou! Do you mean how many days you can use a multi-day Park Hopper? If so, that depends on the ticket! There are a ton of options when it comes to Park Hoppers, going all the way up to 10-Day Park Hoppers. The tickets do expire 14 days after the date of the first use! We are going in May. We are going to buy 3 day pass. Can we just put a hopper on one day or have to have it on all three days? The only way to do this would be by purchasing your tickets separately (combining a one-day park-hopper ticket with two regular tickets) but that would be more costly. Otherwise, you do have to add park hopper for all three days. Hi there! I have the ultimate 14 days ticket with memory maker for this coming May. My fast pass goes live soon - and I am wondering about the park hopper and park hopper plus? I was hoping to visit two parks in one day - am I able to do this or do I have to upgrade to a park hopper type ticket? All of the ultimate 14-day tickets we are familiar with include park hopper, so no worries! Just double check with the vendor who you purchased the ticket from. With that being said, you can only book FastPass+ reservations in advance at one park for day. Hi... We're going to DW for the first time in December. Just my husband and myself...never been there before. We know there are certain rides we want to ride, but of course they are spread out over the parks. We have one day in Orlando, so we have purchased a one day ticket without the park hopper option...if we were to go and after in the park decide we'd like to hop...can we buy the hopper add on at that point or would have to be done before admission at the start of the day? You can add the park hopper option at any point during your day at a ticket window or guest relations. However, we recommend planning your day and purchasing ahead of time. How much is it to add the Hopper option to already purchased 1-day tickets? You can call our customer service at 1 (800) 846-1302 for details on upgrading your park tickets. We are going to purchase a 4 day hopper through our MWR. Can I use one of those days at Universal? If not what all parks do I have to choose from? A Disney Park Hopper ticket gets you into the four Walt Disney World parks: Magic Kingdom Park, Disney's Hollywood Studios, Epcot and Disney's Animal Kingdom. You can visit all four of them or whichever you choose! You can purchase tickets separately (or a la carte) - so do 2 day base tickets, 1 day park hopper - but this is likely to be more costly than a ticket package. When you buy ticket packages, tickets must all be (or not be) park hopper - so you can't select only one day to hop parks. We'd recommend purchasing park hopper for your whole trip. Hi!! I am planning to come with my family in June this year. We are 6 adults and 2 kids. I'd be staying in LA for 2 nights. Could you suggest what would be best for me. We would suggest a 2-day park hopper for your crew, so you can adventure throughout the parks and really experience everything they have to offer. I m trying to come March 1 week.. n only I have 3 days time I have .. so I m interested all them n I want to sea dolphin n touch dolphin scoba I want to do so sea world is include those thing ????? Park hopper is include dolphin touch scuba or not ??? The Park Hopper is a Disney ticket, so you'll only have access to Walt Disney World Resort parks. You'll want to head to SeaWorld's Discovery Cove! While there, you can experience the SeaVenture Underwater Tour where you wear a diving helmet and take a tour through The Grand Reef. You can also swim with dolphins at Discovery Cove! What is the possibility of upgrading a magic your way ticket to a park hopper at the gate and what is the fee for upgrading? If it is within 14 days of a Magic Your Way theme park ticket’s first use and the ticket has remaining admissions, you are able to upgrade the ticket at the park's gate. The cost depends on the ticket (the amount of days it's for), but can range from about $37 to $63 per ticket! Hi! Can you use the park hopper pass at universal? Does this also include access to harry potter? The Park Hoppers are Disney tickets used for only Disney Parks! For Universal Orlando park hopping, you'll need a Universal Park-to-Park ticket. These tickets allow you to hop back and forth between Universal Studios Florida and Universal's Islands of Adventure in the same day. Both Universal Orlando parks have The Wizarding World of Harry Potter, so you'll be to experience it. We highly recommend a Park-to-Park ticket, especially if you're a Harry Potter fan; with this ticket, you can hop on the Hogwarts Express to venture between the two parks! what would yo recommend if I want to go to two parks but one each day? a 2day hooper or a single day separate for each park? We would recommend the 2-Day Magic Your Way Ticket to save a bit of money versus purchasing a Park Hopper. Park Hoppers tend to be slightly more expensive and if you wouldn't be utilizing the ticket by visiting multiple parks per day, then there wouldn't be any need for it! 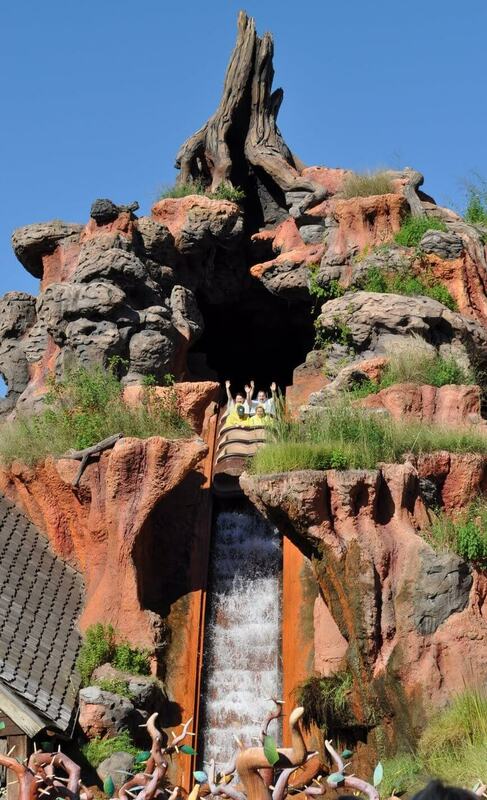 You can find discounted 4-day park hopper tickets for your family here. Im looking at the park hopper for Disneyland how many times can you go back and forth between parks? is it endless? or can we only enter each park once? You can go back and forth between parks as many times as you'd like with the Park Hopper ticket! Is there any better deals than the %25 off for Canadians at Disney land ? I have a 6-day Disney trip coming up soon. I was given a one-day park-hopper ticket by a friend and I purchased an additional 5-day (non-park hopper) ticket plan. My question: How do I make sure that I use the park-hopper ticket on a specific day rather than one of the 5 non-hopper tickets? (There is only one day that I want to hop between Hollywood Studios and Magic Kingdom and don't want to accidentally use a non-hopper ticket that day). If they are linked on our MDE account and you have MagicBands (assuming this vs. hard tickets because of the question), then the only way you can do this is when you arrive, head to guest services and have that one day ticket prioritized over the other one. I have park hoppers. I will be in MK on 12/14 which is a MVMCP day, so they close at 6. I have an ADR at Park Fare at 4:00. If I'm back at the MK gate by 6, will they let me back in to walk main street and see castle lighting before I have to leave at 7? Hi we are currently at Disney. We have visited 3 of the parks so far and the forth today.. we have one more park pass for this week.. we have ages 2-12.. we really feel it would not be as fun for the 3 older kids to return to MK for another whole day.. there is one ride at AK we didn't get to do, and Epcot felt like a whirl wind trying to get to one FP to another.. we were wondering it it would be benificial or even doable and if so what's the best way to buy a hopper add on for the last day and go back to each park that we either missed a ride at or repeat a ride they really liked. Is there a way to do it and park at one place and use transportation to others. Example would be ..we didn't get to do avatar, and they really want to ride Everest again, some didn't get to ride frozen, and we havnt been to HW yet but should there be something there once the day is done that we need to go back to. I think we are satisfied not returning to MK. Thanks in advance! I am so sorry for the delay, but your comment ended up in our spam filter. We hope you were able to work it out and gave a great time!!! Sorry for the delay, but your comment ended up in our spam filter. If you only have one day for Disney, I would pick only one park, most likely Magic Kingdom. There is so much to do, and if you go on the 15th with the holiday, all of the parks will be busier. If we stay for the 8:00 Star Wars Fireworks at Hollywood Studios, then walk (briskly) over to Epcot (via the Boardwalk), will Epcot still let us in even if we get there a minute or two before their 9pm closing time (so we can see Illuminations)? ... Or will we be "stuck" on the Boardwalk looking for another source of transportation back to our resort? Sorry for the delay. Your comment ended up in our spam filter. If it's before park closing, you will be able to get in. We go every year for Spring Break in March. With the addition of FOP in AK, I am considering purchasing Park Hopper. I just can’t see hanging out in AK for 2 full days. We will be in park 5 full days. My only concern is choosing FPs with hopper. I assume I can only choose the initial 3 in my first park, correct? You can only make advance FastPass+ reservations in one park per day. So, you can make the advance reservations for any park you like (whether it's the first or second park you visit in the day), but all three have to be in that one park. After you've used your first three, then you can continue to make reservations while inside the park. Check out our guide to using FastPass+. Hope this helps! With my 3 day park hopper will I be able to go in and out of the same park multiple times in a day? For example will I be able to go for a couple hours in the morning, go back to the hotel and then re enter that night. Would this count as one day? Yes, all of that hopping would count as one day. My kids are ages 3 and 6 and we are planning on going for Christmas. I just want to know which park is better? We have never gone for that time of the year. You can't go wrong with the Magic Kingdom during Christmas. Hello! My husband and I are taking our daughter (11) and son (7) to Disney at the end of January for a long weekend. We are only staying three nights so probably just two days in the parks (1/26 and 1/27). We are trying to decided the best use of our time. The three parks that I'm most interested in are MK, AK, and HS. My question is: can we reasonably do two parks in one day? If so, which two? It is very difficult to see two parks in one day. Also, it may take upwards of an hour to travel between the gates of parks you've listed. If two in one day is your only option, we recommend Epcot and Disney's Hollywood Studios. Those two parks are relatively close. I have a six day park hopper for WDW. For Fastpass, I understand I can only book 30 days in advance. But does that mean I have to wait for each 30th day before I can book the next park. Or can I start using fastpass for the six days once it's activated. Yes, you will need to wait each 30th day to book Fastpass+ reservations. I'll be coming in for 2.5 days in November with a 7 year old boy and a 9.5 year old girl. They went to Magic Kingdom years ago. Not sure which parks to choose this time. Thinking about waiting on Universal and trying Magic Kingdom or Legoland (they love legos) or Hollywood studio or Sea World. It's hard to decide. Also, not sure what to do on our half day? We have a 3pm departure. Our best advice is to get your kids involved in the decision process. Do they like Harry Potter? Universal! Frozen? Epcot! Dolphins and Penguins? SeaWorld. Getting them involved, showing them videos of rides on our YouTube channel, will make the trip great for everyone. If I purchase if I am staying 4 nights 2 day tix with water park option ... Am I able to go to the park day one and day 2, and then do a water park on my third day? Hope this makes sense ! Yes! Your 2-day Park Hopper Hopper Plus ticket gives you two theme park visits and two plus visits. I am planning to visit Disney first time with my 5 year old daughter at the end of september. I will be in Orlando from Sunday - friday. Since it will be slow time and it will be just me with a 5 year old, i am unable to decide if it is worth getting Park hopper. I am also wondering should i get 6 day ticket or 5 day and just take a rest day in between? if i don't buy park hopper which parks can be covered in a day and which park will take more than a day. With a first-timer and a 5-year old, it may not be a bad idea to take a day off. Relax by the pool. Visit Disney Springs. 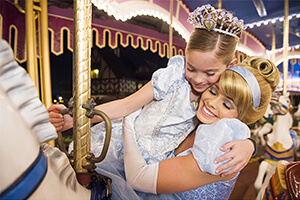 Your five-year old will get the most fun out of the Magic Kingdom. Consider two-days at MK, then one day at the others. Hopping between parks can take out chunks of your day. Check out our Park Plans to get a better idea of what each park has that's fit for your first timer. With planning, you may find you don't need to hop between parks.